This years Classic Motor Show is on at the NEC, Birmingham on 10-12th November. Club members can receive a discount on their tickets, please see the member events section for the code. Stand all set up ready for tomorrow. James Sine B Series & Simon Chapman C Series. Very nice, enjoy your weekend guys. I can't help but thinking that November is the shittest time of year for a Classic car event. Some more pics of the stand today. Stand looks great, i'll pop over for a chat later! Well, that's another great Classic show over for another year. Just like to say a big thank you to all involved. Paul Brennecke, Simon Peckham, Natalie Hill, Tillie, David Hough, Mick Maher, & Louise, Ben Chapman. Brilliant show again. New members joined as well as old members rejoining. Will be on the lookout for cars for next years event so if you would like to show off your car to the nation, get in touch. We'll post details on a separate thread when we get confirmation of next year's plan. 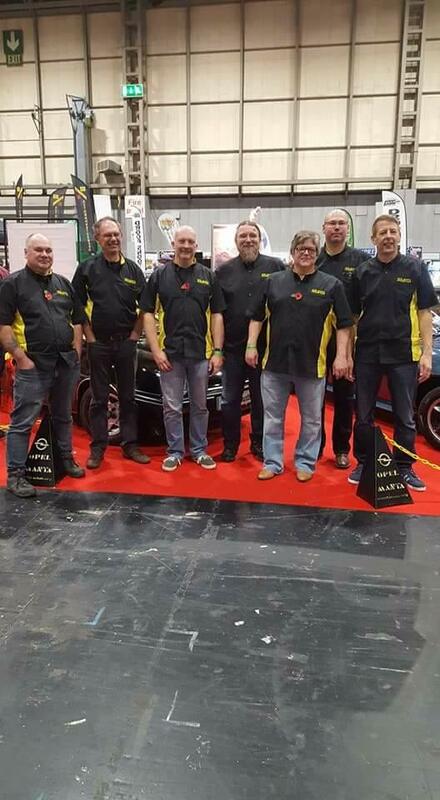 Is the Club attending the Classic Car and Restoration Show at the NEC on the 23-25 March 2018 ? We have ask for a stand.